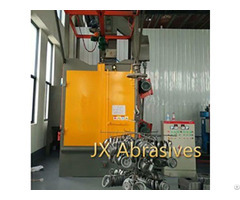 Buy Rubber and Steel Belt Tumblast Machine from JX Abrasives Manufacturer in China, suitable for shot blasting of small parts loaded in bulk. 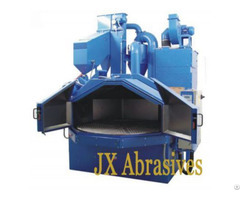 JX Tumble Blast Machine is widely used in small and medium size castings and forgings, stampings, gears and springs of surface cleaning, shot peening, tumbling and vibratory finishing. 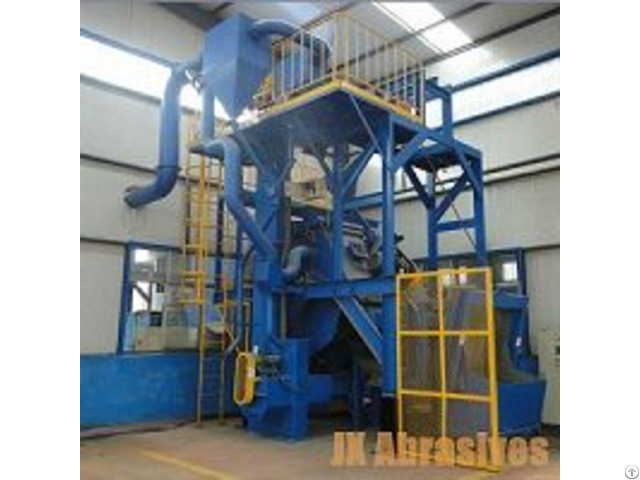 This type of machine is particularly suitable for shot blasting of small parts loaded in bulk. A special anti-abrasive rubber belt arranged as a cradle receives the pieces to be treated and with its movement maintains them in a constant tumble. Warranty: 1 YEAR. After-sales Service Provided: Engineers available to service machinery overseas. 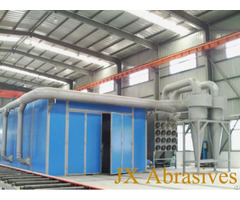 The pieces are hit by the jet of abrasive generated by the turbine, and by continuously changing position, they receive the shot blasting treatment extremely uniformly on all the surfaces. If you have special requirements, please download Blasting Equipments Questionnaire for your reference.